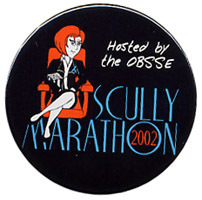 This item is a hand-numbered, limited edition 2002 Scully Marathon magnet. It's magnet #1 out of 50 (numbering is on the back). The magnet is 2 1/4" in diameter.